There are over 50 different Alpine Utah Homes for Sale. Most of these properties are residential, single family homes, but there is also a large number of condos and townhomes in Alpine. Prices of Alpine Real Estate have gone down over the last four years. Prices range from a low of $145,000 to $2,500,000. Alpine has the highest median priced listings in our county with Mapleton coming in second. In 2013 houses that sold had a median sold price of $500,000. In the 3rd quarter of 2013 the average single family home that sold in Alpine was $609,759. Team Teasdale Realty sold one home in Alpine for $1.3 million and another for $2 million in 2013. Other Alpine Utah Homes for Sale includes 0 condos, 0 multi-unit buildings including duplexes, triplex, and fourplexes and other multi-family properties for sale. Basically, condos and multi-unit buildings do not exist in Alpine. The only other city in Utah County that has very few condos or rental properties is Mapleton, Utah. The best way to find Alpine Utah Homes for Sale is to contact Team Teasdale Realty. They will help you find for a good deal on a home in Alpine UT. If you are looking for Alpine Utah Realtors contact Team Teasdale Realty. The MLS listings do not include for sale by owner listings. If you need help selling a home in Alpine let our team give you a free comparative market analysis (CMA). Search Alpine Utah Homes for Sale Today! There are new and old homes alike in Alpine. Many of the major neighborhoods and developments have names like Heritage Hills, Mountainville height, Fort Creek, Alpine Meadows, Tibble Fork, East Mountain, Waynes Court, High Bench Ridge, High Mountain Oaks, Healy Heights, East View Plat D, Swiss One, Taylor Meadows, Paskett Court, Oak Knoll, Alpine Ridge, Twin Rivers, Healy, Sunrise Point, Alpine Estates and Box Elder. Are you searching for Alpine Utah Homes for Sale? Alpine, Utah has no condo and or Townhouse Communities. It is definitely a buyers market in Alpine. In the 3rd quarter of 2012, only 19 residential properties listed on the MLS were sold. The average MLS listing has been on the market for a hundred days. Home prices may drop a little more as there are many motivated sellers, short sales and bank foreclosures in Alpine. The bottom is difficult to predict. Large real estate discounts can especially be found on the high end, land, and spec homes as many properties are entering default and are in danger of foreclosure and or short sale. In 2012 the number of Alpine Utah homes for sale was declining. Some of the best bank foreclosures are the HUD homes, Fannie Mae, Freddie Mac. 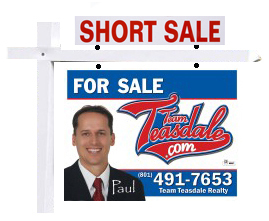 The unapproved short sales can take along time to get approved and are rarely worth the wait in most cases. 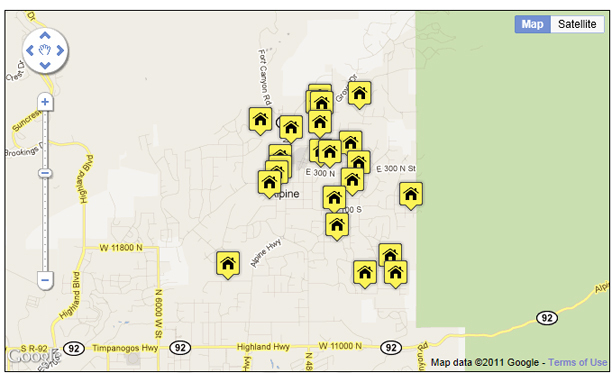 Would you like to search bank foreclosures and short sales only in Alpine? The links below provide lists of only Short Sales and Bank Foreclosures in the Alpine area.